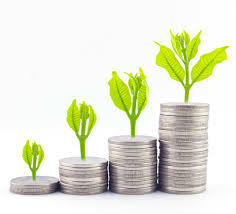 Attractive interest rates – Fixed deposits are attractive because they offer higher returns than savings accounts. So, if you have a surplus amount that you know you will not need in the short-term, you can put it to better use by investing it in a deposit account rather than letting it lie idle in a current or savings account. Guaranteed Returns – Returns on deposit account are guaranteed. They are not dependent upon or tied to market fluctuations. Even if popular market-linked rates like SIBOR or SOR go up or down your returns from deposits will not vary. Deposit Insurance protection – What happens to guaranteed returns in the rare / unlikely instance that your bank fails? Your Singapore Dollar denominated deposits will still enjoy protection under the Deposit Insurance Scheme of the Singapore Deposit Insurance Corporation (SDIC) of up to $50,000 in aggregate of all your eligible accounts with that bank. All that you need to do is ensure that the deposit product you are investing in enjoys SDIC protection. Flexible deposit tenors – A variety of deposit tenors are available. These range from tenors of one week and go up to 36 months. Premature withdrawals – You may choose to withdraw your deposit before the maturity date. The general industry practice is that if your deposit has completed “quarters” (3 months or in multiples of 3 months), you will be paid a lesser interest than originally contracted. And, if you withdraw before 3 months you may receive no interest at all. Overdraft – You can use your fixed deposit corpus as collateral for credit facilities like Overdrafts. DBS Bank, for instance, offers such a facility against your Singapore dollar deposit. Foreign Currency Fixed Deposits – Foreign currency fixed deposits are deposits that are denominated in a currency other than the Singapore Dollar. Many banks in Singapore offer foreign currency deposits in a variety of currencies. These are usually available in tenors ranging from one week to 12 months. Foreign currency deposits provide the potential of earning higher returns than on conventional deposits. They are, however, subject to foreign exchange risk. Moreover, Foreign Currency Fixed Deposits are excluded from insurance coverage by the Singapore Deposit Insurance Corporation under the Deposit Insurance and Policy Owners’ Protection Schemes Act 2011. Singapore Savings Bonds – An attractive, alternative product to deposits is the Singapore Savings Bond (SSBs), a special type of Singapore Government Securities that are suitable for individuals. The first issue of SSBs rolled out on 01st September 2015. These 10-year bonds will be issued every month for at least the next five years. These bonds provide “step-up” returns, returns that will increase the longer the bonds are hold. Interest is paid every six months and interest income is exempt from tax. You can redeem your Savings Bond with the Government in any given month before the bond matures, with no penalty for exiting the investment early.